A transportation service will pick you up from your hotel at the established time and will transfer you to the bus station. 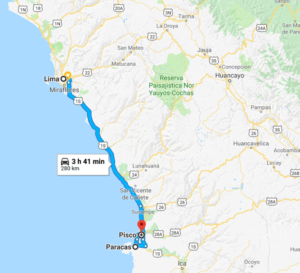 You will be transferred from Lima to Paracas by bus, approximately 4 hours. 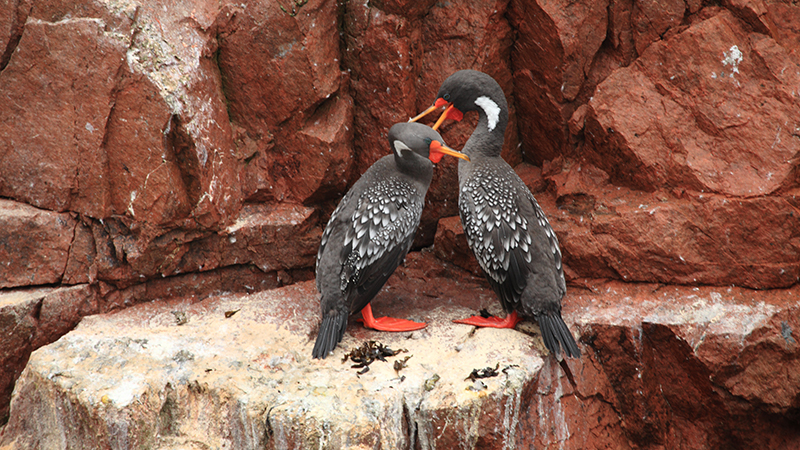 We will transfer you from the bus station to the hotel in Paracas. 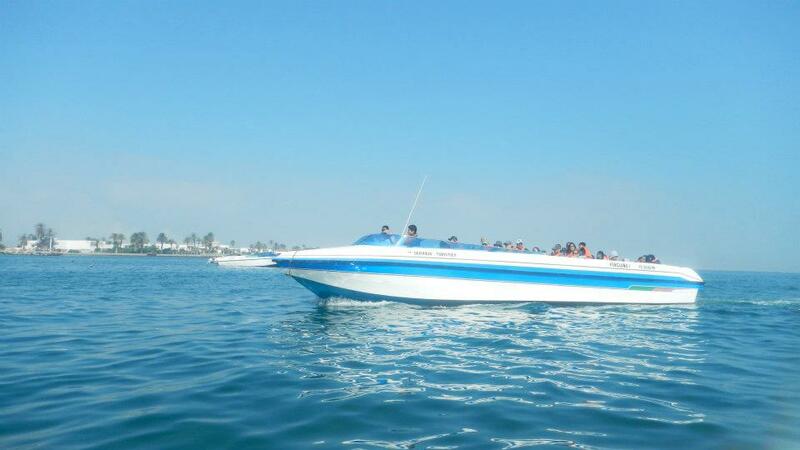 In the afternoon you will be picked up at your hotel in Paracas. First, you will visit a Traditional Winery, where they will explain to you how to make Pisco and wine where you will also be able to see the facilities that are used during the elaboration of those products. At last, you’ll be able to taste all the variety of wine and pisco made with the different kinds of grapes. After your visit to the winery, you will visit the Huacachina Lagoon, also called “El Oasis de Amèrica”, you will see beautiful landscapes surrounded by sand dunes, palms, huarango trees and beautiful houses. Return to the hotel for the evening. Meals included: Snacks at the bus and Pisco tasting. Assistance and transfer to Pisco airport. Face one of the world’s greatest mysteries while overflying the Nazca Lines. The town, settled beside a small river crossing the desolate plain of San Jose, passed unnoticed until commercial airlines began crossing the desert during the late 1920s. Scientists attention was immediately drawn to Nazca but the mystery remains unsolved. What was their exact purpose? We don’t quite know. The truth is they depict coastal, highland and jungle fauna (whale, hummingbird, monkey, spider) as well as geometric figures (lines, trapeze, triangle). Thereafter, weather and air-traffic controllers permitting, fly above the figured-scrapped hills of Palpa. 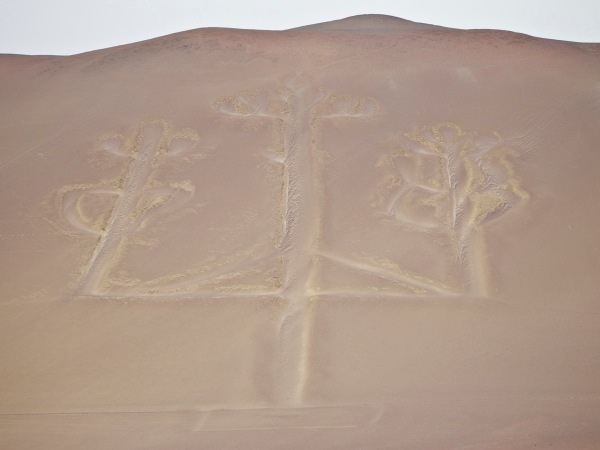 The Palpa Lines are believed to predate those of Nazca, picturing animals and human figures and a prominent deity. The Nazca culture flourished between 50 B.C. and 600 A.D, studies suggesting their society suffered an environmental collapse derived from huarango deforestation. Assistance and transfer to your hotel. 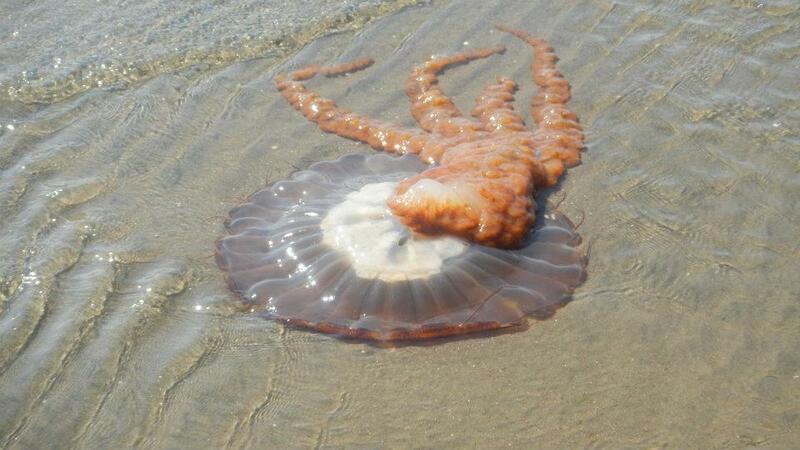 * Overflight time will be confirmed one day before and is subject change due to weather conditions. 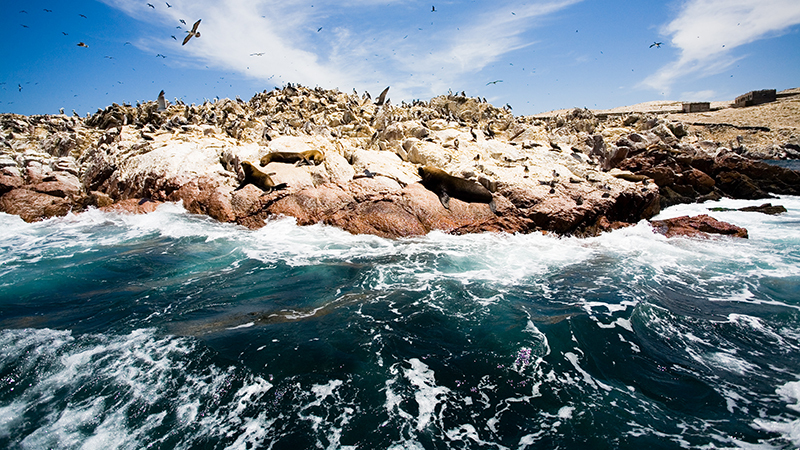 Afternoon transportation will pick you up from your hotel and will take you to Paracas National Reserve. The reserve, three hours south of Lima, is a large area containing beautiful rock formations created by thousands of years of erosion by the wind and water, as well as a variety of fauna and the remains of a pre-Inca culture that ruled the desert and created a successful society in the face of adversity. 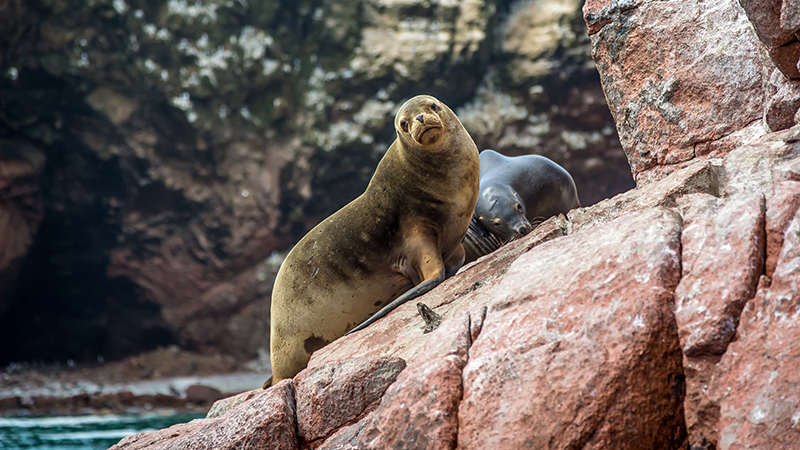 Transportation will be provided for you from your hotel to the pier where you will board the boat for the Ballestas Islands, 45 minutes from the coast of Paracas, the Ballestas Islands attract an impressive quantity of marine animals: mainly seabirds and penguins, as well as large populations of sea lions, which swim and jump close to the boat. At the end of the tour, you will return to your hotel. 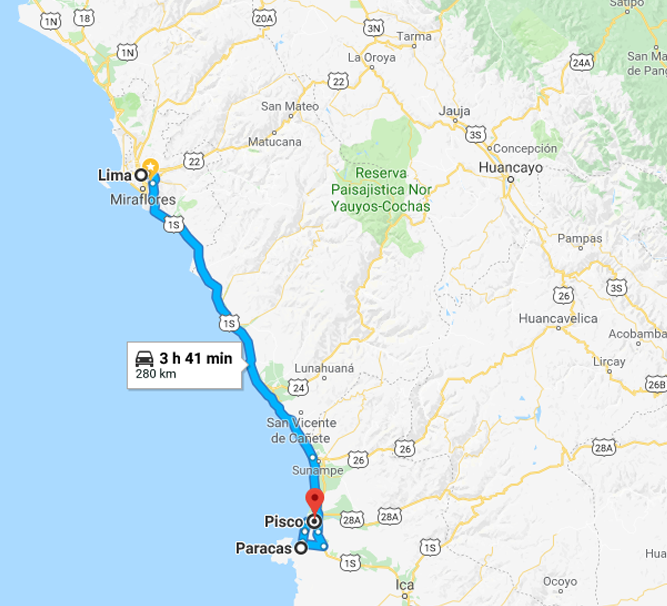 At the established time, we will be transferred from the hotel in Paracas to the bus station either continue your tour to another city or return to Lima for your international return flight. The mystical Nazca Lines drown in the open field have drawn the attention of many. This trip offers you the opportunity to make an overflight of the lines and witness their splendor and magnitude. Moreover, it will take you to a wine tasting at a local winery and pass by the Oasis of Huacachina. 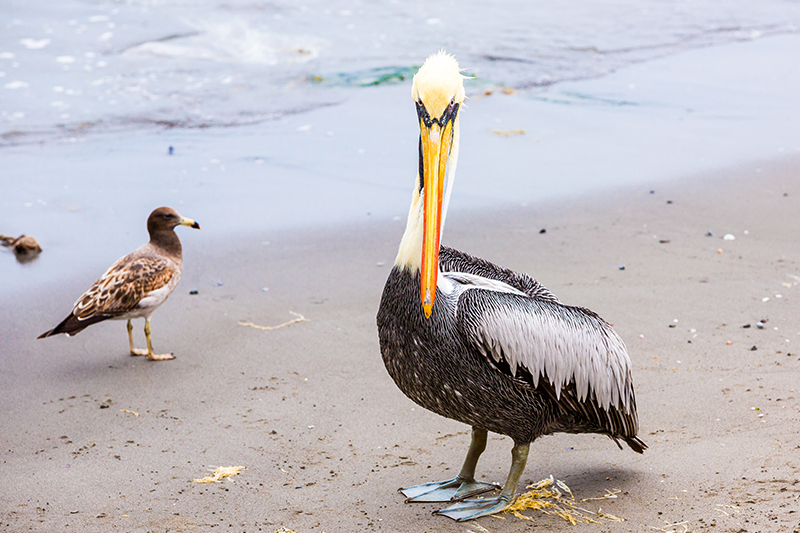 The Peruvian territory is home to incredibly rich wildlife. 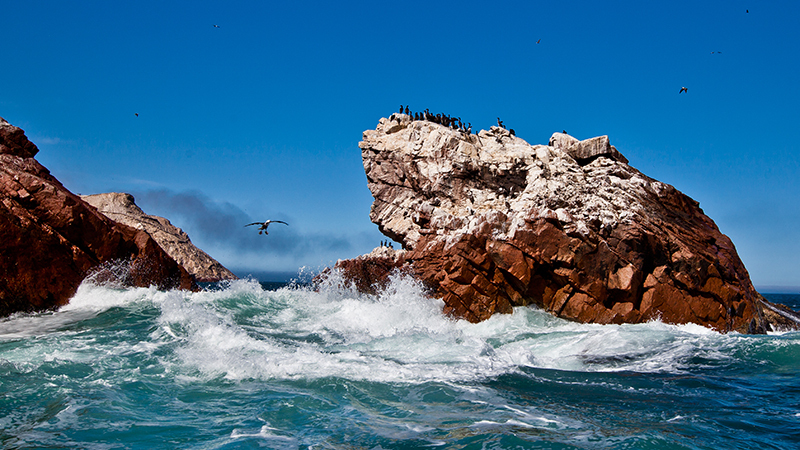 The Ballestas Islands will impress you with the huge number of marine bird and colonies of sea lions. Daily breakfast at the hotel, lunches, and dinners as specified in itinerary. All transfers bus station / hotel / bus station are private. Bus considered is Cruz del Sur in tourist class. 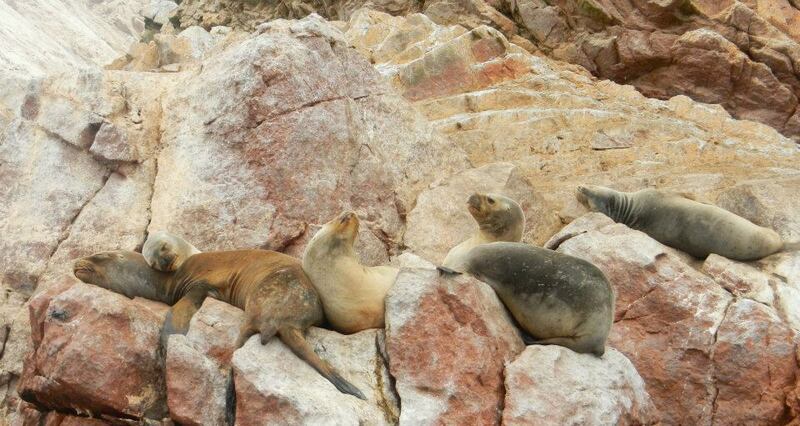 All services are private, except from the Ballestas Islands tour, which is in shared services. Oveflight time will be confirmed one day before and it is subject to weather conditions. Please have in mind that check-in hour in most hotels starts at 1:00 pm. Early-arriving guests will be subject to room availability while waiting in the hotel lobby.